All it takes is faith and trust. Oh, and a little bit of pixie dust. If those few words don’t bring Peter Pan to mind, your life certainly could use some more adventure! 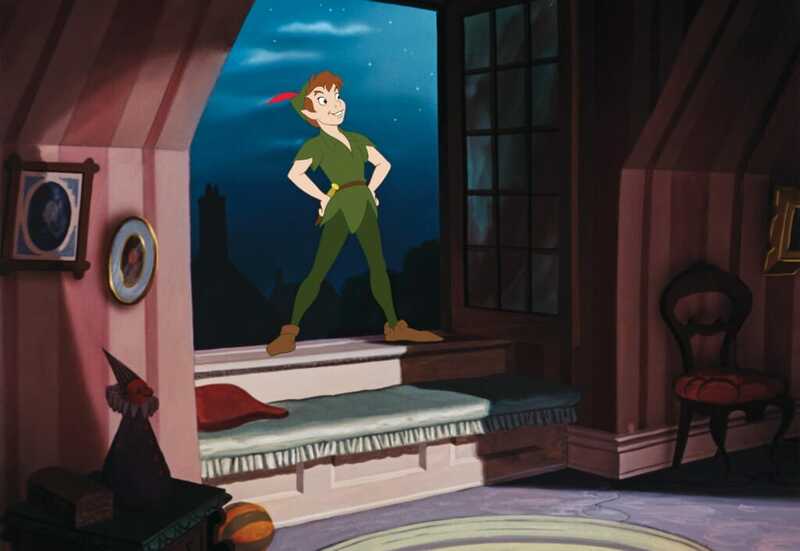 Celebrating its 65th Anniversary, Disney’s animated Peter Pan is currently available on download, with the Blu-ray multi-screen edition flying onto store shelves June 5. It’s one magical tale like you’ve never seen before. Whether you’re brand new to the story or can recite every line of the classic film, this new Anniversary Edition gives the timeless classic an extra dash of pixie dust thanks to some beautiful HD effects and a number of fun bonus features. 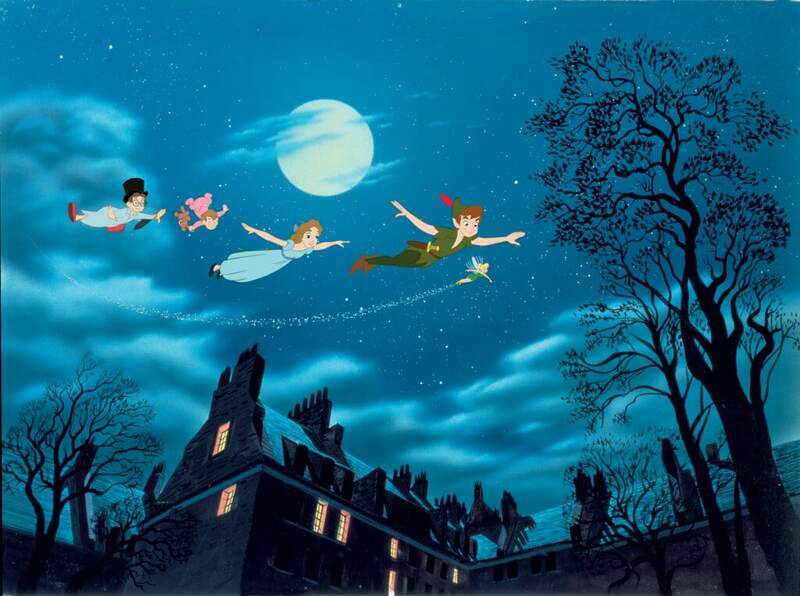 I loved Peter Pan as a kid and, in fact, the high-flying boy who never grows up was responsible for one of my favorite memories at Disney World. I must have been about 10 years old when our family drove down from New York to Florida and visited Disney World for the first time ever. We went on a number of fun rides for kids, none of us being too into the super fast rollercoaster types. We waited on line for the Peter Pan ride and when the pirate ship pulled up for us to board, I was super excited. My mom, dad, sister and I all boarded and got ready to float off to Never Land. Except… this was no ordinary boat. It was in the world of Peter Pan after all. So as soon as it began, the ship started flying up in the air where it stayed for most of the ride. My mom, who’s not a fan of heights during rids, actually screamed. “We’re going up! Why are we going up? Why are we flying?” She eventually got used to it and enjoyed the ride, but that total shock on my mom’s face was priceless and a memory I’ll never forget. As part of a #PeterPanBluray event, myself and 24 mommy bloggers visited the Walt Disney Studios Lot in Los Angeles, California. We participated in a Peter Pan Scavenger Hunt on the premises and even got a very rare behind-the-scenes look at the original artwork from Peter Pan at the Animation Research Library. 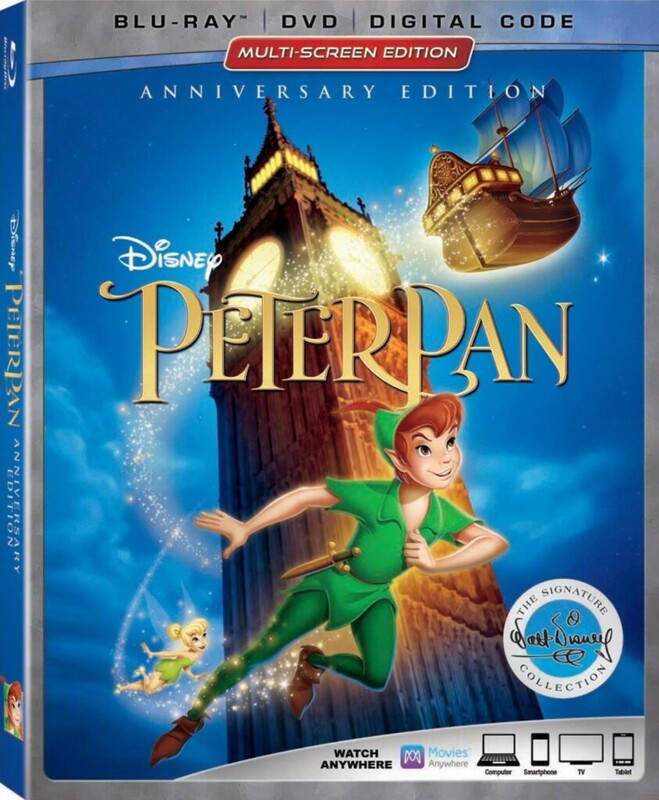 But what of the new Peter Pan Anniversary Edition? We all received a copy and after viewing it, I love this movie as much now as I did then. How can you not love a story that pushes kids to embrace their imagination? From the London setting to the enchanting tunes (“He can fly! 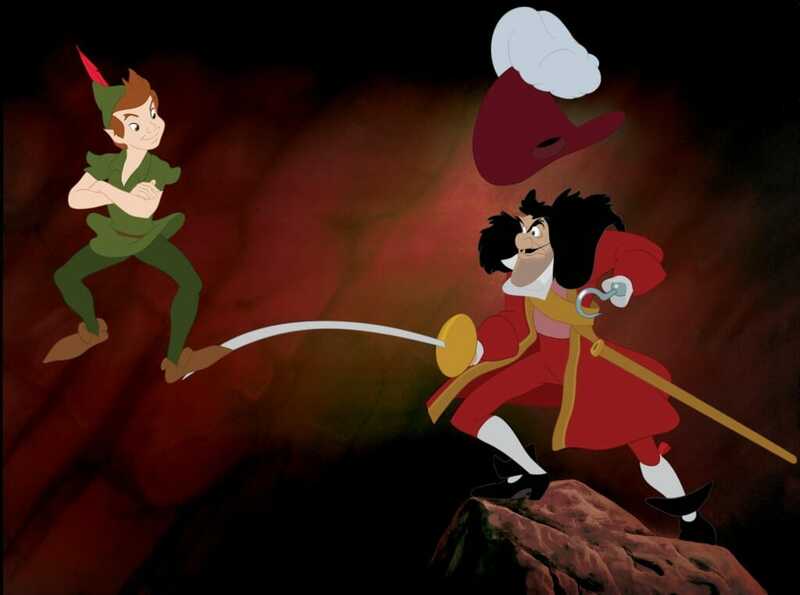 He can fly!”), Peter Pan is a classic for a very good reason. The over-the-top villain in Captain Hook brings just enough diabolicalness mixed with humor to have you cheering every time the big guy would get chased by that clock-ticking crocodile. The magic of Never Land and the Lost Boys really reaches out to kids. A place with no adults and children running the show would appeal to any kid out there. Especially with a magical funtastic pal like Peter Pan to keep them company. And of course, there’s the blonde fairy herself, Tinker Bell. These days, Tink (that’s what her friends call her, y’know) has her own movies and toy lines. 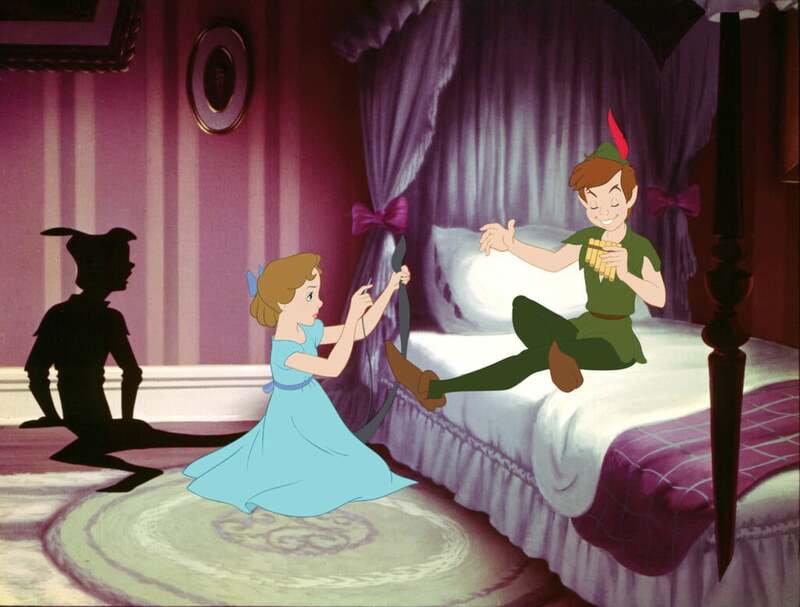 But in Peter Pan, she made her debut and ensured that the movie would sparkle as bright as it did. Besides retelling the classic 1953 Disney animated classic, the new Peter Pan Anniversary Edition Blu-ray features some incredible bonus extras. A full week’s worth of steady output by a top-notch animator may only take up five seconds on screen. Over a million drawings were completed during the production of this film with over 250,000 separate drawings utilized in the final film. 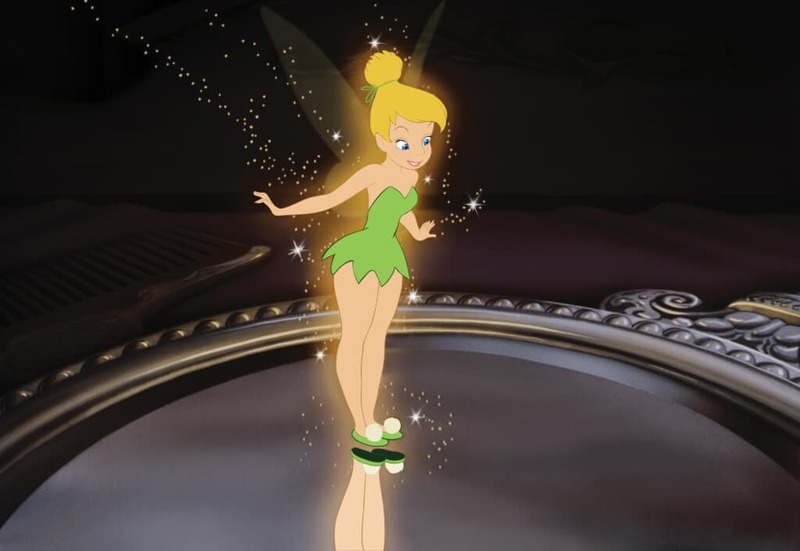 Tinker Bell originally began as nothing more than a darting spot of light in the J. M. Barrie play, but on February 5th, 1953, Tink made her Disney feature film debut. Legendary animator, Marc Davis, was largely responsible for bringing her to animated life. In 1961, a live Tinker Bell began her nightly flight above Sleeping Beauty Castle at Disneyland during the park’s firework spectacular and she still flies across night skies to herald the evening fireworks.